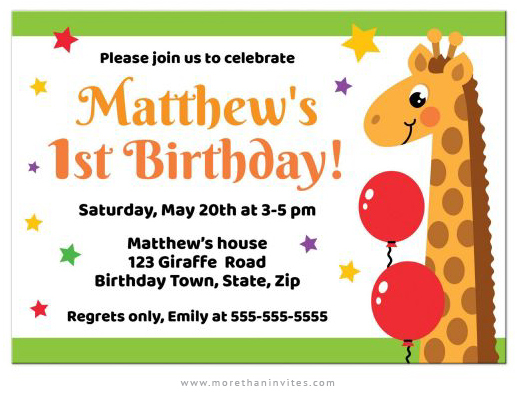 Bright, fun and colorful birthday party invitations for kids featuring a cute little giraffe with red balloons and multicoloured stars. Ideal for a giraffe or zoo themed birthday party. Available from Lemon leaf prints.